Proceeding with the New Year's resolutions, T1 tried out the skating verein attached to our swimming verein and liked it very much. 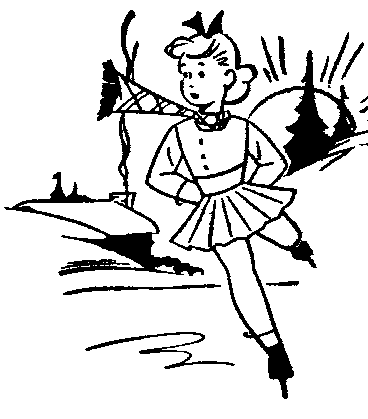 We are late for the season but she will be taking a regular weekly lesson until the end of the skating season and then will move on to the same club's in-line skating lessons. She's pretty advanced at ice skating for a child who has only done 5-6 times because she's quite good at in-line skating for a child who has never had a lesson (but likes to put her skates on and fly about). T2 had a birthday party today but will join her next week: the verein has multiple lessons going on at the same time. I don't expect that she will be as good because she has less experience on skates (she likes her bike best) and she's not as naturally athletic as T1 is (although physically stronger). The lessons/abteilung anmeldung are remarkably inexpensive but ice skate rental is remarkably expensive so we will be buying the girls skates before the next lesson!